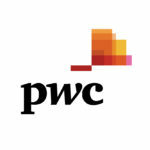 PWC, one of the world’s largest Professional Services firms, came to SNI requesting a negotiations training program for their Partners, Directors, and Managers in the Americas, EMEA, and Asia. This program was delivered at each region’s Annual Advisory Conference to help provide the leaders with a common negotiation language and systematic approach. SNI met the challenge of presenting culturally relevant material to an audience comprised of individuals from 76 different countries speaking a host of languages and designed a program that addressed specific negotiation challenges within Advisory. Advisory provides advice and assistance to corporations, government bodies, and intermediaries in the implementation of their strategy, relating to Transactions, Performance Improvement, Operations, and Crisis Management, among other areas. SNI designed a customized exercise that demonstrated to participants how to price their services based on their higher value creation, rather than on their costs. SNI has gone on to deliver other negotiation training programs within PWC, including an advanced program that includes videotaped role play and real time coaching. Following the implementation of SNI’s habits and tools, most participants, according to client feedback, were able to leave less money on the table and felt an increase in confidence throughout the negotiation process. SNI believes the greatest indication of a successful program is the opportunity to extend the relationship with the client – SNI has proudly completed programs at PWC for over eight years.